The concerned father says his boy will be ‘devastated’ if he can’t play with his mates. 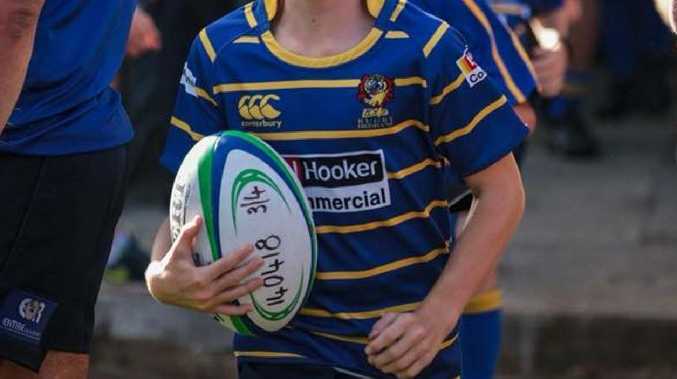 A BRISBANE businessman is taking legal action against a rugby union club he claims has barred his nine-year-old son from playing in a junior team next year. Jarrod Sierocki says in his Supreme Court claim that Easts Rugby Union's decision to deny his son, who previously played for the club, from being a junior player is not lawful. He says it is the first court application in Australia against a sporting club over a child being excluded, allegedly without cause or natural justice. "My son's been playing since he was five," Mr Sierocki said. "He will be devastated if he's not allowed to play with his mates." Mr Sierocki had been a sponsor, but this month the club withdrew its invitation for him to sponsor the club. He withdrew his son, who played for Easts from 2015-17, earlier this year because of his concerns about parents of another young player allegedly owning guns. Mr Sierocki said in his affidavit that, after informing the club his son would return in 2019, he received a letter from vice-president David Waldie. The December 3 letter read: "We think that it is in the best interests of your son and the club that your son does not return to Easts." Mr Sierocki has applied for a declaration that the decision to deny his son permission to play is not lawful. He also has asked for an injunction requiring the club to take all necessary steps to permit his son to participate. "I don't think anyone should be excluded from anything, let alone a nine year-old child,'' Mr Sierocki said. Mr Sierocki said he had never received notice of termination of his own club membership and knew of no reason why his son would be ineligible to play. Mr Waldie said he had not been served with a copy of the application, filed today, and declined to comment.